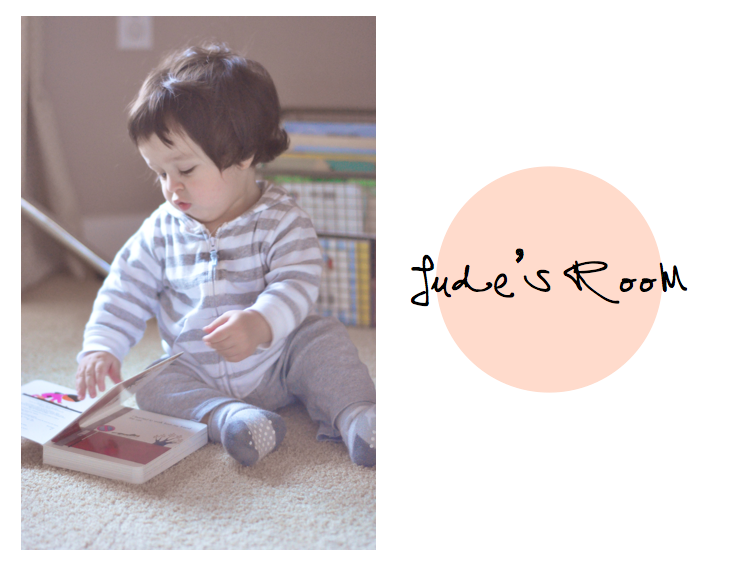 Here's a little peek into how Jude's nursery is coming a long. Don't let these photographs fool you into thinking it is complete. You know how some people can decorate a room and it's done in a matter of weeks or days? Yea, I'm not one of those people. 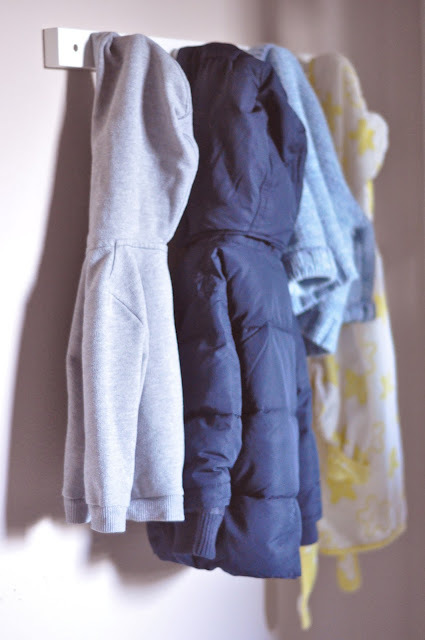 Eight months into his life and there are some cute pieces, but so much to be done. 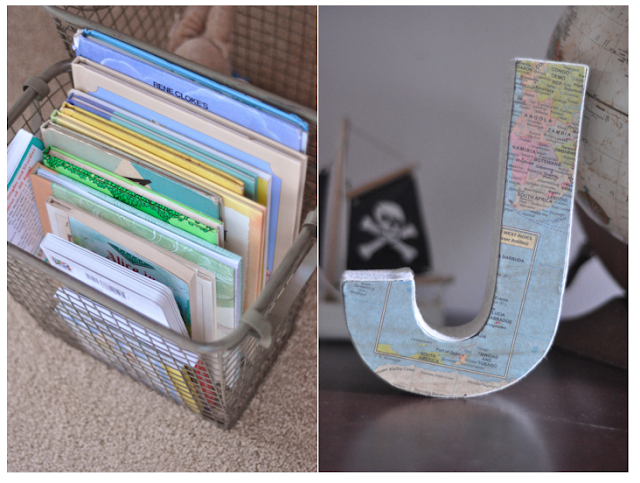 I got this cute letter J from Urban Outfitters and the baskets from Target several months ago. 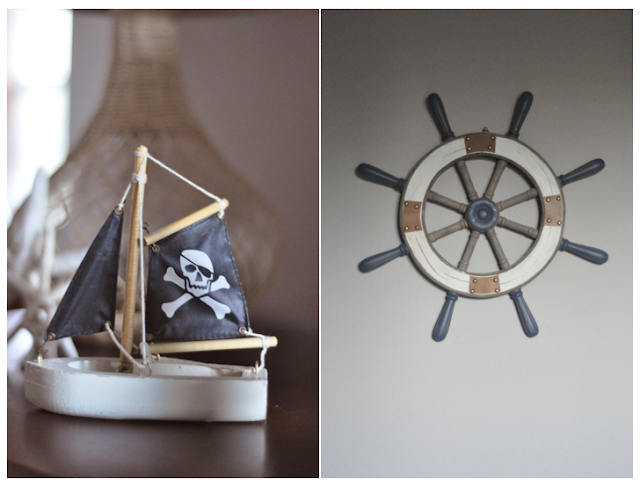 The boats and globe are vintage pieces passed from family members and the wheel was a random thrifting purchase. The wicker and glass lamp was a TJ Maxx find. Aw!! That's an adorable set-up so far. 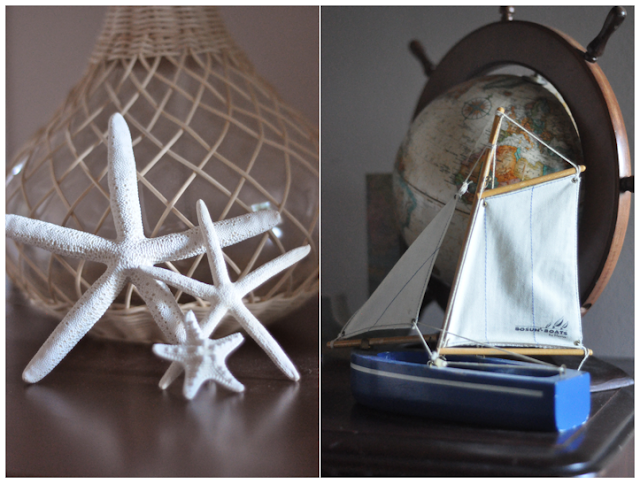 I really like the nautical touch! I'm sure it'll be a beautiful room once you are done decorating it! By the way I nominated you for a Liebster award! Cute little boy! And cute room. Would love to see how the room turns out when you finish.